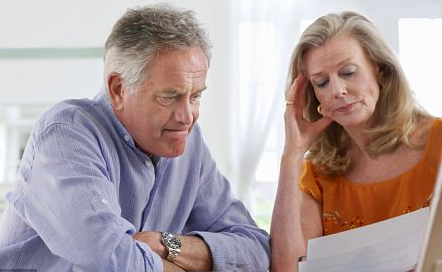 Revenue Commissioners are now targeting pensioners for failing to declare untaxed income. Revenue are having to find ways of boosting their tax take. By the sounds of it they are beginning to communicate more effectively with the Department of Social Protection and cross checks are proving revealing. In this case, some pensioners are receiving both the state pension and a pension from an employer they retired from. Both are taxable, and if the combined pensions are now in excess of €16,000 then there is a tax liability. George is a retired ESB employee receiving a pension of €15,000 per annum. He does not pay any tax on this amount as it falls below the €18,000 exemption limit. However he also receives the state pension at a rate of €220.00 per week or €11,440. This is untaxed as is the procedure with social welfare payments. George is over 65 and single. Take a look at what extra tax he could be liable for? His combined income is €15,000 + €11,440= €26,440 and now, he is €8,440 above the threshold. The extra PAYE tax liability would be €1,743 after deducting relevant credits. The tax going forward would be collected by the Revenue Commissioners adjusting your tax credits in the pension you received from the ESB pension – this would reduce by the weekly amount of €33.52. As harsh as it may sound it is deemed to be the tax payers responsibility to declare untaxed income. It is not therefore a new tax – it’s always been there. Pensioners may not have realised in fact it is taxable. Also – unless you were filing a tax return each year, you would have not possibly realised you were underpaying your tax. So the bottom line now is, you will if your income is above €18,000 have to pay tax etc. on the excess. If you are married this is doubled to €36,000. Note, being over 65 entitles you to some extra credits, and you may need to claim for relief on items you hadn’t before as you presumed you weren’t in a tax paying position. Contact this office for a free consultation on this matter if you have any further queries or concerns with this matter.